The White House used basketballs emblazoned with President Obama’s image Monday at a basketball clinic as part of the festivities for the annual White House Easter Egg roll. 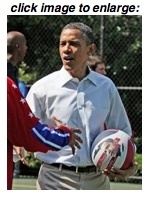 The balls bore Mr. Obama’s likeness, with “Barack Obama, 44th President,” one one side in the design of a U.S. flag. 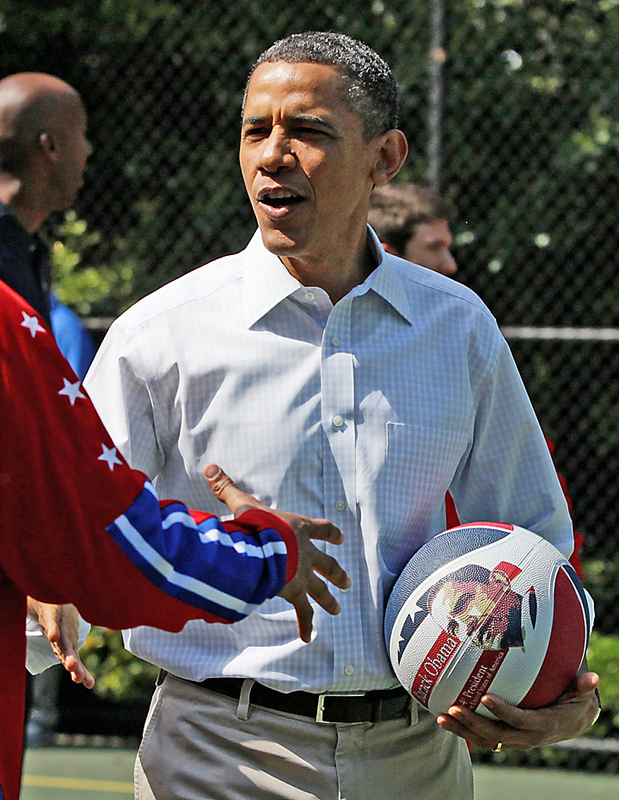 Mr. Obama took turns with former pro basketball players shooting hoops on a court set up on the South Lawn. Other activities at the annual event included storytelling, a tennis clinic and the traditional egg-rolling race for children. More than 30,000 kids and parents were expected to attend the day-long event. Mr. Obama participated in a game of “Shoot for Strength,” in which kids do a pushup for each basket made by the president or a pro player. While reporters were watching, Mr. Obama was one-for-eight in his attempts. “With your help,” Mr. Obama replied. Dave Boyer is a White House correspondent for The Washington Times. A native of Allentown, Pa., Boyer worked for the Philadelphia Inquirer from 2002 to 2011 and also has covered Congress for the Times. He is a graduate of Penn State University. Boyer can be reached at [email protected].